Wild life lovers are always on a spree to explore wilderness at its best. So, what are you waiting for? If you are a traveler in quest of unveiling the secrets of forest and the wildlife that it hides, then you need not think again before setting off to Africa’s Kenya, this holiday season. The stunning and mesmerizingly beautiful locations in Kenya with its safaris and tranquil beaches are enchanting. Kenya implements a globally recognized wildlife management system that you cannot find anywhere else in the world. This is with an aim to ensure that the wildlife is comfortable and are enjoying an existence nothing less compared to their natural habitats. Once you are here you will have to pinch yourself to make yourself believe all that you see and explore. The most exciting part is that all the beasty beauties roam around freely including the rare and endangered species. If you are fortunate enough you are likely to bump into those Big Fives even! Brace yourself while we take you on a trip across some scary fun mingled with adventure and excitement! 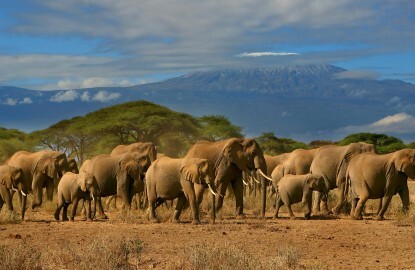 Witness the great Kenyan Migration live! A magnificent worldly bliss awaits you here. Hold your breath and get ready to catch a glimpse of the surprise that emerges from behind the enormously large cloud of dust. The herd of wilderness that is all set to rock the ground will leave your spell bound. Get ready to experience a slight tremble across the earth below your feet. Hold on tight and switch on all your receptors to catch hold of the migration. As it draws closer, you will realize that the grayish black fur, the white beards, the hoofs and the chaos generated by the herds are part of the thunders that you heard emerging from the plains long ago. Zebras are white stripes in black or black stripes in white? Still a mystery unknown! As your safari gets closer to the herd, you will find your eyes zigzagging across the white and black stripes of zebras grazing across the pastures of greenery. While you try to resolve the mystery of the zebra’s black & white pin-tucks, the Mara River will awe you. Get yourself a seat on the ledge of the river and take out your binoculars and look into it. What do you see? Unbelievable! You will find infinite herds of wild beasts stomping and grunting to welcome their guests. As the water in the river sends out storming currents as a welcome note, even ferocious of beasts in the lot seem to be terrified. Keep your camera handy as you have no idea when you can capture the coolest sizzler for a lifetime. Just in case a lazy crocodile strolls out of the water to get some fresh air! You can also see vultures circling the sky above the river in hope of finding a prey. Enchanting bird life for bird watchers!!! We didn’t use the word enchanting for the sake of it! But, Kenya’s Great Rift Valley and the wetlands offer a beautiful eco-system to support bird life. And, what is more awesome is the fact that here you will find an infinite avi-fauna species that you might have never ever seen even on the Discovery or Wild Planet channels. A visit to the Lake Nakuru is recommendable as we do not want you to miss those beautiful pink plumaged Flamingos that do nothing but keep on hungrily gulping over the algae that is widespread over this alkaline Lake. The bird species that will attract you includes goliath herons, long-crested eagles, black-lobbed babblers, kingfishers, pink-backed pelicans, cormorants, African fish eagles, and more. Lake Bogoria, fresh water Lake Baringo, and Lake Naivasha embedded inside the Great Rift Valley are the home to many other birds. The colorful culture and the exquisite beaches of Kenya will enlighten you even more! Kenya is famous for the variety of tribal life that it boasts. Swahili, Pokot, Maasai, El Mollo, Samburu and Rendille are the popular tribes in Kenya. The semi-nomadic life of the tribes and the pastoral settlement is close to wilderness and will give you a glimpse of the amazing culture and tradition of this people. This was the driving force that brought you all the way from your homeland in quest of experiencing a life with difference. The Swahili music and the narrow streets and their artistic intelligence will leave you mesmerized. Don’t return until you have treated yourself to the white sandy beaches that are the assets of the Indian Ocean islands. These include the beautiful beaches of Lamu, Chale, Kiwayu, Funzi and Manda. The beaches and islands of Indian Ocean have a tale to tell everyone. Lose yourself in the beauty of the land and we bet you will never want to return after what you have found here. Planning for a tour to Kenya to explore what it hides? Then, contact us today! 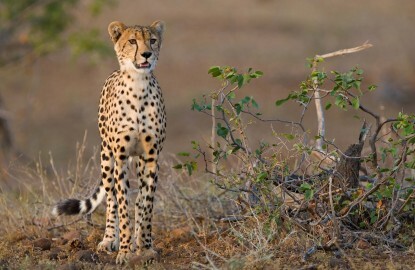 Our team of tour planners at Connect World Travel will plan a perfect African tour for you. Explore the wilderness and Swahili culture that you have only heard of.